Stair lifts may be found in residential or commercial settings and, in either instance, provide greater accessibility to the elderly and disabled. Staircases increase risks of accidents, such as fractured or broken bones, or obstruct full use of a home. Because purchasing a one-level house is not a practical investment, a property needs to be modified for better accessibility. 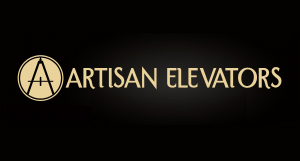 From helping you get around your home to accommodating elderly patients or clients in your commercial building, stair lifts allow individuals to get from one floor to another with ease. Stair lifts are lifting devices that require a track system, installed directly onto the steps or a wall behind, and a chair. To operate, the device uses direct or battery power. Each individual has different needs, and manufacturers like Indy Stair Lifts try to address all of them: narrow stair cases, varying body types or sizes, wheelchairs or motorized scooters, or outdoor steps. All of these types have similar features, including foldable designs, swivel seats, and emergency switches or sensors. Not all stairways are the same, and, consequently, neither are stair lifts. Straight stair lifts easily align with similarly-shaped staircases, and but L-shaped and curved stair cases pose design issues. 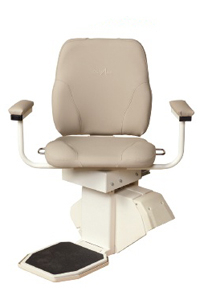 Custom stair lifts can be designed with 90- or 180-degree curves, and two straight stair lifts can be used together. The user just needs to transfer from one to another on the landing. Curved stairways, however, require a custom design, one created to fit specific turns or angles. In the process of creating a custom stair lift, a team assesses your stair case. A custom track is built and then installed into your home. Indy Stair Lifts carries various types of straight stair lifts and creates custom models. With a product selection geared toward residential and commercial uses, Indy Stair Lifts offers narrow, large, outdoor, and wheelchair stair lifts. Each has specific features to meet a user’s needs. Narrow stair lifts, for instance, fold up at the top or bottom, while large designs accommodate body types up to 500 pounds.Outdoor stair lifts, as well, are built to withstand the elements and allow you to enter a home or building in rain or snow. Wheelchair stair lifts, while not built with a chair, are equipped with a platform that moves along a rail and folds up at either end.